When I was about 10 years old, I discovered a delicious candy while on vacation in Michigan. 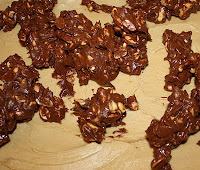 The Maple Bun, a melt-in-your-mouth maple cream encased in chocolate and peanuts, was my favorite candy bar from then on. Fortunately or unfortunately for me, I could never find Maple Buns in my hometown of Waukegan, Illinois. Every now and then I'd spot a Vanilla Bun, but those weren't nearly as tasty as the maple. As a result, whenever I'd find a Maple Bun, I'd buy one. Imagine my surprise when they started carrying them in Wegmans, in the bulk department where they sell the nostalgia candy. I bought one the first time I noticed them there, but now that I can get one all the time, I rarely buy one. There's probably a marketing lesson here about creating an impression of scarcity, but that's not where I'm going with this story. An email newsletter from Pillsbury arrived in my inbox with a recipe for Maple Nut Goodie Bars, and the boy did the flavors sound like Maple Buns (I have since learned that there's a candy called a Nut Goodie, made by the same company as the one that makes the Maple Bun). I couldn't resist adding them to my holiday baking list. The flavors were similar to my childhood treat, but the textures a bit different. Cold, the chocolate bottom layer and chocolate/nut top layer contrast with a softer maple filling. At room temperature, the bars are like a soft fudge. Both are yummy but my preference is to eat them chilled. 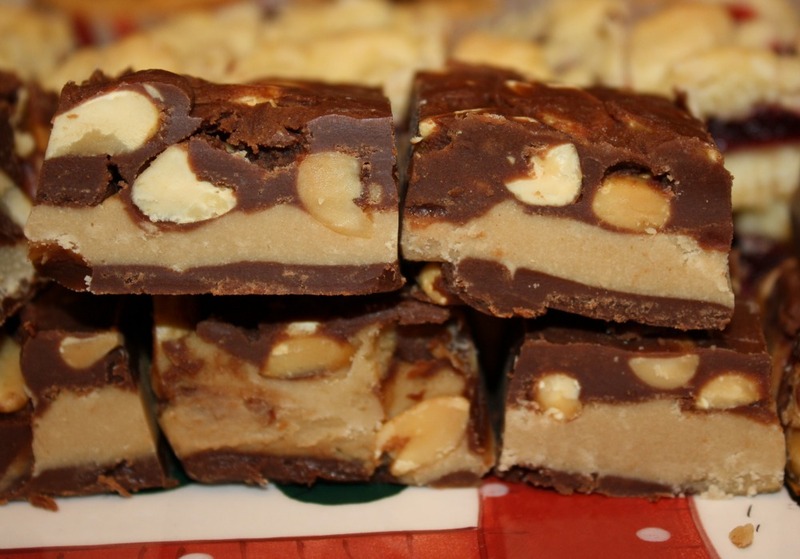 The only challenge about this recipe was cutting it into bars. If it was too cold, the bottom chocolate layer tended to separate from the softer maple middle. If it was too warm and soft, the peanuts made a mess of things. The best temperature for slicing is somewhere in the middle. I think these are best served cold. At room temperature they are a bit softer than fudge. sides) with foil. Butter or spray foil with nonstick cooking spray. 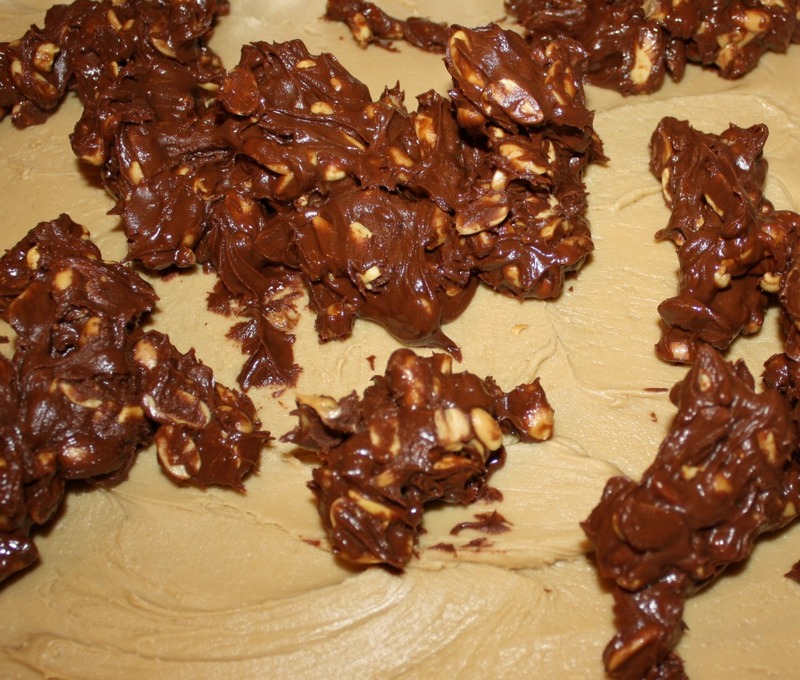 In large saucepan, melt chocolate chips and 1 cup of the butter over low heat, stirring frequently. Remove saucepan from heat. Add peanut butter; mix well. Spread half of mixture in buttered foil-lined pan. Freeze 10 minutes or until set. Place pan in refrigerator. 2. Meanwhile, stir peanuts into remaining chocolate mixture. Set aside. 3. Melt remaining 1 cup margarine in large saucepan over low heat. Gradually stir in evaporated milk. 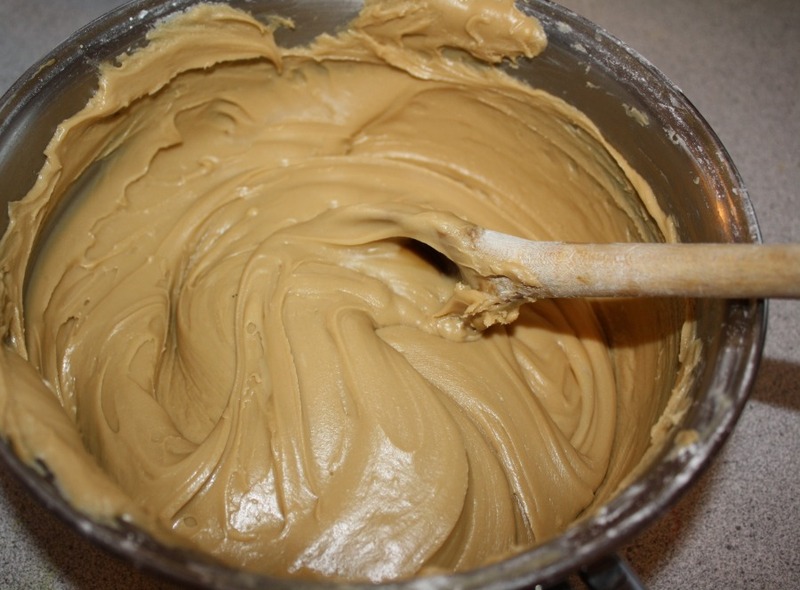 Stir in pudding mix. Cook until mixture is slightly thickened, stirring constantly. DO NOT BOIL. Remove saucepan from heat. Add powdered sugar and maple flavor; mix well. Cool about 10 minutes or until slightly cooled. 4. Carefully spread pudding mixture over chilled chocolate layer. Refrigerate 30 minutes. 5. Stir reserved chocolate-peanut mixture. Drop by spoonfuls onto chilled pudding layer; spread to cover. Refrigerate at least 3 hours or until firm. Cut into bars. (If the bottom layer wants to separate from the maple layer as you are cutting, let it sit at room temperature for a few minutes -- but do not try cutting this at room temperature, as it is too soft.) Store in refrigerator. Makes a big tray of candy! It is sweet and rich, so cut into smallish pieces. Original recipe says 64 servings, which is probably about right.